1. 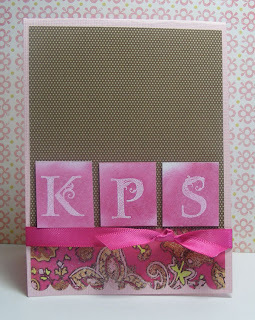 Stamp first in Versamark and emboss with white embossing powder. 2. Then sponge on Rose Red craft ink. 3. Lightly rub excess ink off the white image. You can sponge the color lightly or add more and more color for fuller coverage. 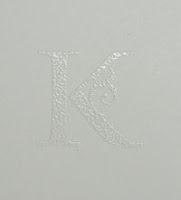 These letters look so incredible embossed in white! 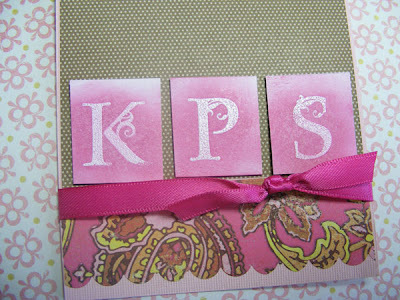 Love your card as well.